Even as ethnic inequality, violence and racism (hello, Roseanne Barr!) continue to roil America, the new National Memorial for Peace and Justice confronts a shameful era in our country’s past and provides a permanent place for reflection about the painful cost of treating people as less than human. The first-of-its-kind memorial and accompanying Legacy Museum opened in late April overlooking downtown Montgomery, Ala., once the site of slave warehouses and markets. 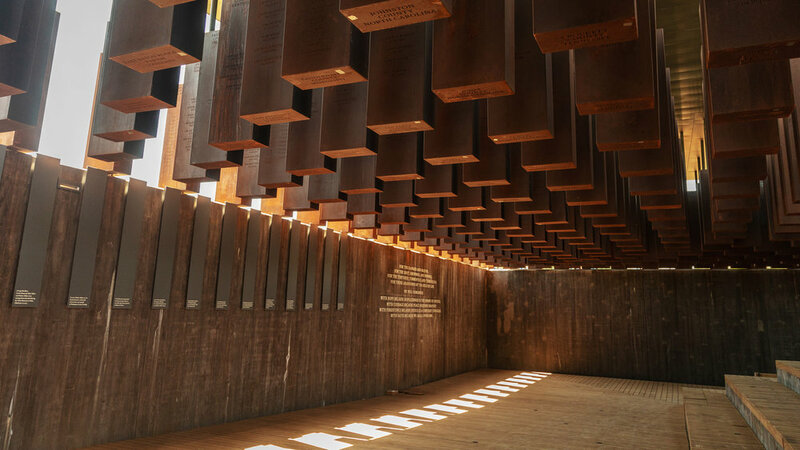 The historic landmark courageously – and righteously – labels lynching as “racial terror violence” and promises to spur an honest discussion about some of the uglier truths behind America’s past and present, from slavery and Jim Crow to mass incarceration. 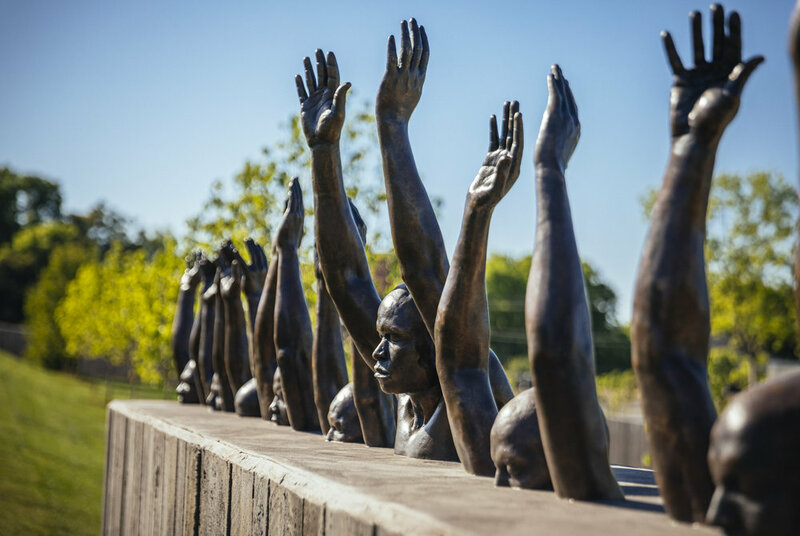 Publicly confronting the truth about our history is the first step toward community-wide recovery and reconciliation, according to the Equal Justice Initiative (EJI) whose director, Bryan Stevenson, helped spearhead the $20 million memorial project. As part of his larger mission to challenge the nation’s legacy of racial inequality, Stevenson drew on the experience of memorials and museums worldwide – from Poland and Germany to Rwanda – that document and preserve the memories of genocides and other atrocities as historical knowledge and cautionary tales for future generations. 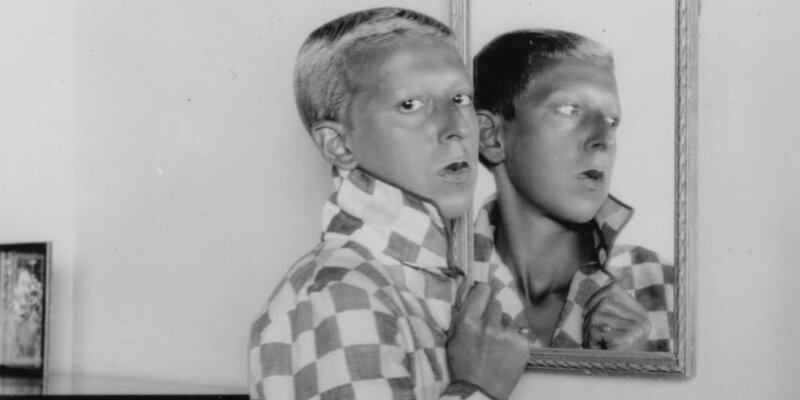 The significance cannot be underrated: The youngest Holocaust survivors are now in their 70s. Over 40 percent of Americans, and 66 percent of millennials, cannot say what Auschwitz was, according to a recent study by the Conference on Jewish Material Claims Against Germany. Work on the memorial began in 2010 when EJI staff began investigating thousands of lynchings in the American South, many of which had never before been documented. In 2015, the group erected markers in Montgomery describing the city’s past as a major slave market. Public markers now appear at hundreds of lynching sites, and EJI has invited communities across the country to claim others. The memorial opened on April 26 to packed crowds, accompanied by several days of educational panels and presentations from leading national figures, live performances and concerts. Just three days earlier, the State of Alabama celebrated Confederate Memorial Day – an official state holiday. Designed by the Boston-based MASS Design Group, The National Memorial for Peace and Justice makes clear the enormous scale of violence against blacks as a means of social control. Racial terror lynchings claimed more than 4,000 black Americans – men, women and children – from the collapse of Reconstruction in 1877 to the beginning of the end of Jim Crow in 1950. People were hanged, shot, drowned and beaten to death, with the approval, implicit and explicit, of government authorities and white communities. They were killed for registering black voters, for organizing sharecroppers, for running successful businesses, for wearing an Army uniform after returning from war. For being black. The central structure of the memorial, located on a six-acre site, is described as a “looming cloister where 800 steel columns hang from the roof” – one for each county where a lynching occured. 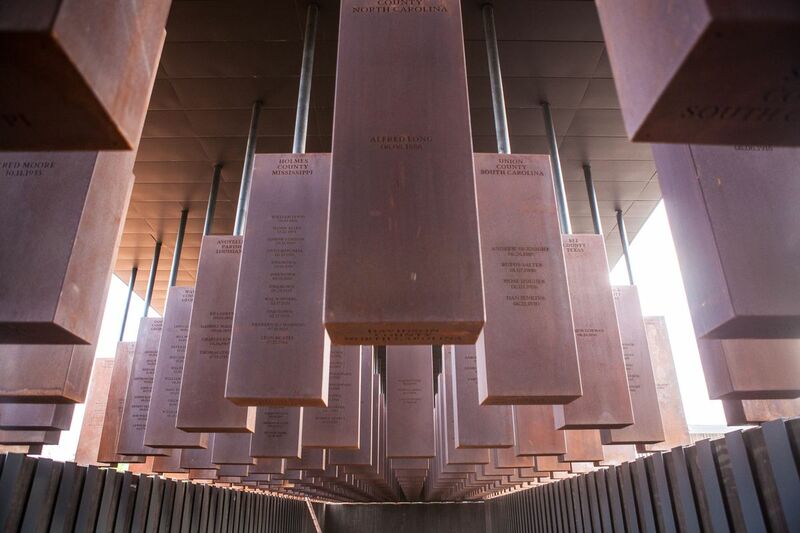 Each column is engraved with the names of lynching victims, their states, counties, and dates of death. The columns begin at eye level and then hang, as the floor descends, conjuring images of the victims themselves. Replicas of the hanging columns are placed like coffins in the ground in an adjacent room, arranged in alphabetical order. The narrative museum, called “From Enslavement to Mass Incarceration,” uses interactive media, sculpture, videos and exhibits to immerse visitors in the sights and sounds of the domestic slave trade, racial terrorism, the Jim Crow South, and the U.S. prison system – the world’s largest. It also serves as the headquarters of the EJI. Overall, the site is “a vital and powerful statement against our national tendency to willful amnesia,” wrote Jamelle Bouie in Slate. 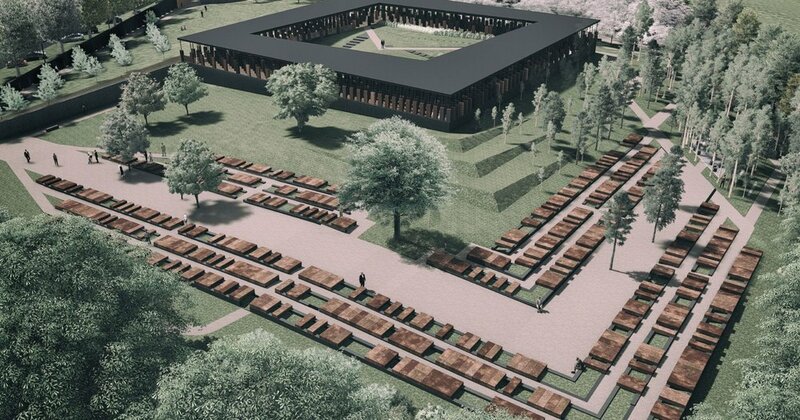 The memorial’s opening prompted The Montgomery Advertiser to admit in a news article and editorial that its coverage of mob violence and terrorism of African Americans from Reconstruction through the 1950s was both careless and dehumanizing. 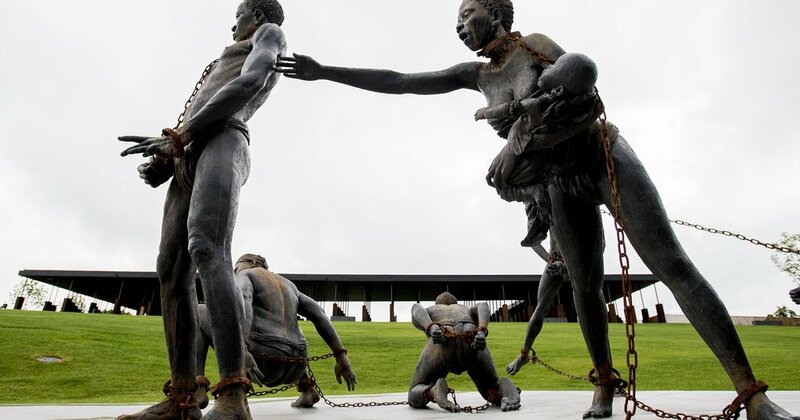 While some residents objected to the memorial, saying it would exacerbate racial tensions – or was simply unwelcome – Tao Finklea, a 30-year-old from Vredenburgh, Ala., told The Guardian that the museum is “an awakening” for Alabama and the South.  “I hope this becomes an experience of shared pain,” he said. More information is available at museumandmemorial.eji.org.